After a four-decades-long career at the U.S. Department of State’s Foreign Service including being appointed as U.S. Ambassador to Senegal in 2000, Harriet Lee Elam-Thomas is now looking back on her remarkable career and life. In time for Black History Month, her new memoir, Diversifying Diplomacy: My Journey from Roxbury to Dakar (Potomac Books, 2017), presents readers with insight into her work in diplomacy around the world along with firsthand accounts of a life spent breaking barriers as a Black woman growing up in segregated America. 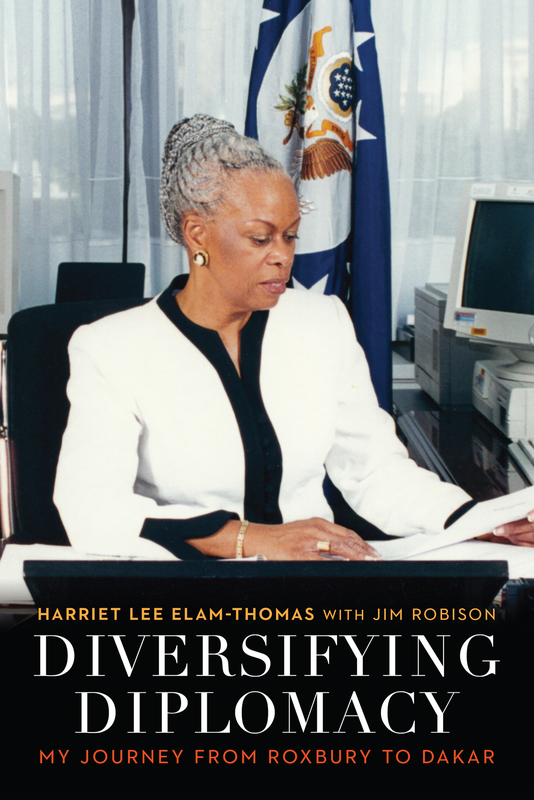 Through examination of her life, career and family tree, Elam-Thomas offers readers a unique glimpse of Black History during the days of Reconstruction, Jim Crow, segregation and beyond—and offers strategies for success in breaking through in any field. What this “hidden figure” in diplomacy has to say may be just what America needs during this divisive political era when old stereotypes are resurfacing, and Blacks and women again find they need to prove themselves.